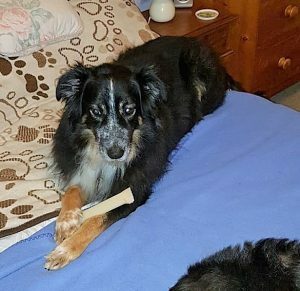 1/4/19 – Rudy’s new family have been in touch to let us know that they have adopted him after finding him via our website, and that he is just as described. We are very pleased for all concerned, and particularly happy that our website has worked its magic once again! 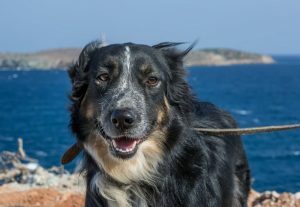 Rudy is a stunning, 7ish year old Border Collie cross, in foster care in Frinton on Sea, Essex through Animal Adoption International. He originally came from Greece and he’s a wonderfully friendly boy! He loves people of all ages and all other dogs. Rudy is a true gentlemen and definitely would not make a good guard dog. He loves everyone! He isn’t cat tested but he can be if necessary. He might be OK with them, due to his very gentle nature. 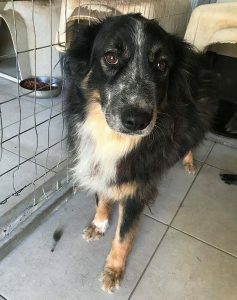 Rudy must be rehomed with at least one other dog. If left completely alone he gets separation anxiety and the more the merrier in his case. He walks well on a lead, is clean in the house and is generally a joy to have around. 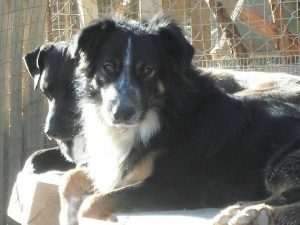 Please say you saw Rudy on the Oldies Club website.